Ambrose was born on 18 November 1816 at Barlastone, near Market Bosworth, Leicestershire. He was converted at the age of thirteen following a camp meeting in his village. Ambrose took his first local preaching appointment on his 16th birthday. 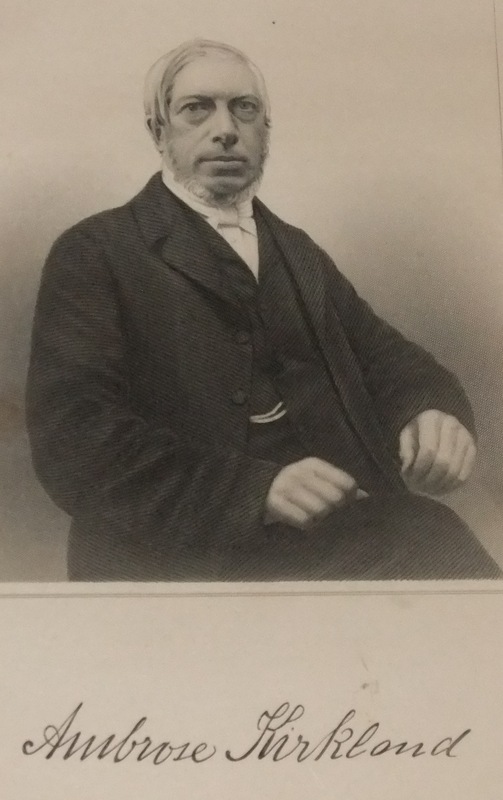 In 1836, he entered the regular ministry initially called to work in his own Ashby de la Zouch circuit. Whilst at Belper, Ambrose became a total abstainer. His obituary records that as a minister he was unpretentious, yet faithful in word and doctrine, and was successful in leading many souls to Christ. He was often required to build new chapels (17 in total), schools (4) or enlarge chapels already built. Ambrose married Ellen Yeomans (1816-1905) on 2 March 1843 at Duffield, Derbyshire. Census returns identify four children. Ambrose died on 15 April 1892 at Hollingwood, nr Oldham, Lancashire.